Olympiacos Piraeus had a strong start in the 2014-15 Turkish Airlines Euroleague by edging Eurocup champion Valencia Basket 68-71 on the road in front of 8,500 fans in Group D on Thursday. 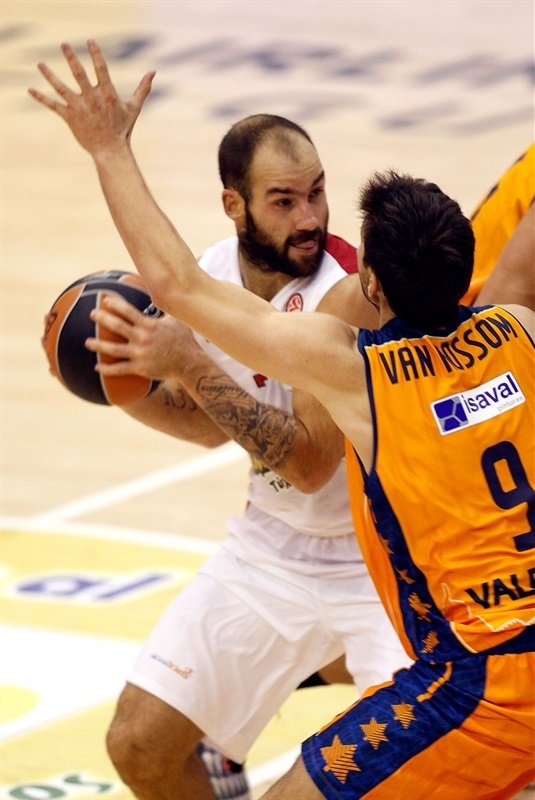 Vassilis Spanoulis led the winners with 21 points and 5 assists. Matt Lojeski and Kostas Sloukas each added 14 for Olympiacos. 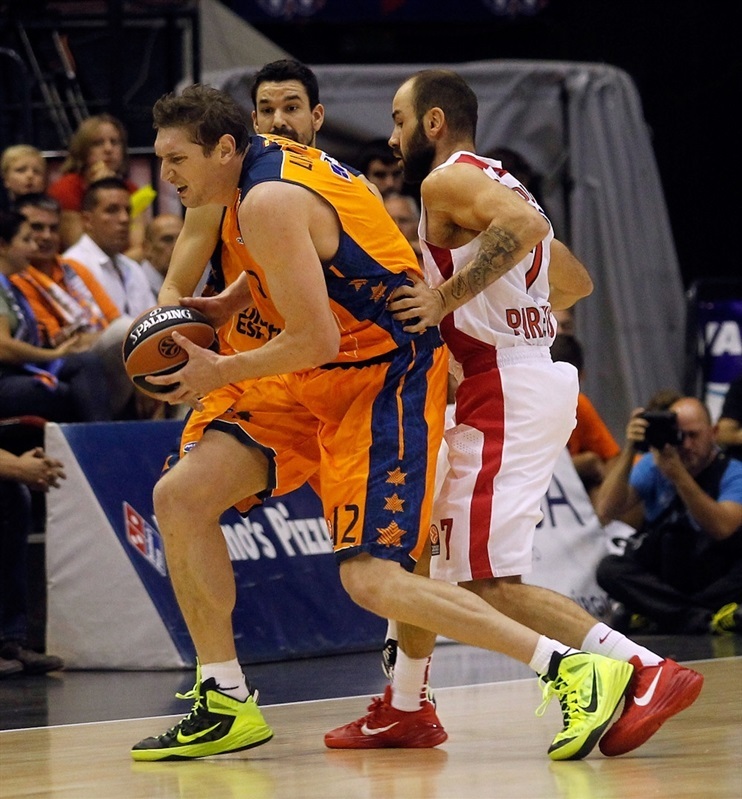 Luke Harangody led Valencia with 14 points. Dwight Buycks and Romain Sato each added 11 while Sam Van Rossom had 10 for the hosts. Olympiacos had a slow start but Spanoulis and Lojeski allowed the Reds to get a 18-20 edge after 10 minutes. Vladimir Lucic and Pau Ribas allowed Valencia to get a 26-22 lead but an outstanding Spanoulis got help from Sloukas to make Olympiacos regain the lead, 36-38, at halftime. Lojeski stepped up late in the third quarter to boost the Reds' lead to 43-49 but Valencia found a go-to guy in Dwight Buycks, who brought the hosts back in the game. A dunk by Harangody made Valencia regain the lead, 58-56, late in the fourth quarter. Valencia led 62-58 with 4 minutes left but Spanoulis, Lojeski and Othello Hunter led an 0-8 run which put Olympiacos ahead, 62-66. Valencia managed to tie the game, 68-68, with a minute left. Sloukas sank 3-of-4 free throws in the final 6.8 seconds and Valencia could not overcome that deficit down the stretch. 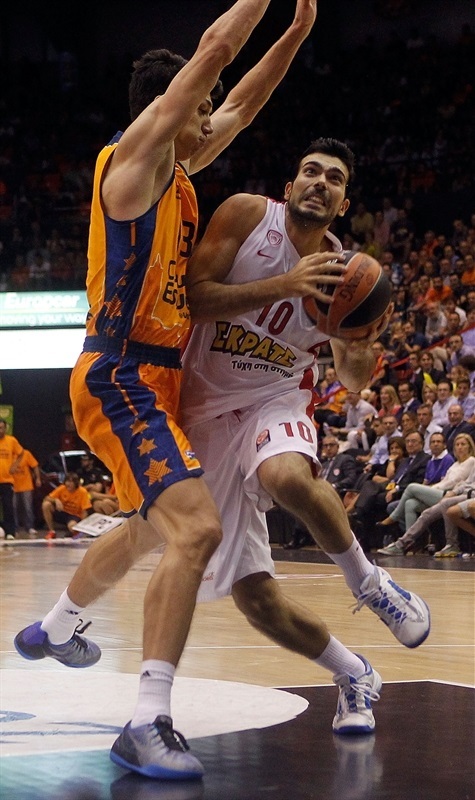 Harangody got Valencia going with a one-handed floater, as Olympiacos struggled to score early. Spanoulis split free throws and a layup by Sato gave the hosts a 4-1 lead. Harangody kept pacing Valencia with a running jumper but a three-pointer by Spanoulis and a two-handed slam by Hunter tied it at 6-6. Serhiy Lishchuk rescued Valencia with a layup-plus-foul but Hunter silenced the crowd with a huge dunk. Van Rossom banked in a long three-pointer, but a tip-in by Hunter and a layup by Lojeski tied the game again, 12-12. Sato flew high for a tip-in, but Olympiacos had improved its defense and Lojeski tied the game again, 14-14. Sato hit a jumper, Oliver Lafayette shined with a layup in transition and Lojeski gave the Reds their first lead, 16-18. Ribas stepped on court and immediately delivered with a basket but Spanoulis slashed for an easy basket that put the Reds back ahead, 18-20, after 10 minutes. Lucic took over with a wild alley-oop slam in traffic - and the free throw that came with it. Kostas Sloukas and Buycks traded free throws, as the game turned into a physical battle. 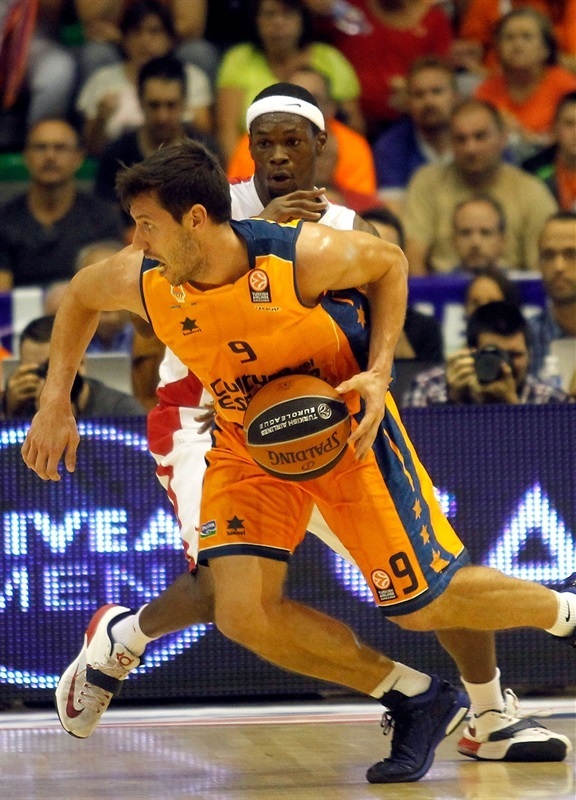 Ribas fed Lucic for a corner three-pointer which ignited the crowd at 26-22. Sloukas quickly answered with a six-meter jumper and Lafayette soon tied the game again, 26-26. Harangody stepped up with a close basket which Spanoulis bettered with a bomb from downtown, giving Olympiacos a 28-29 edge. 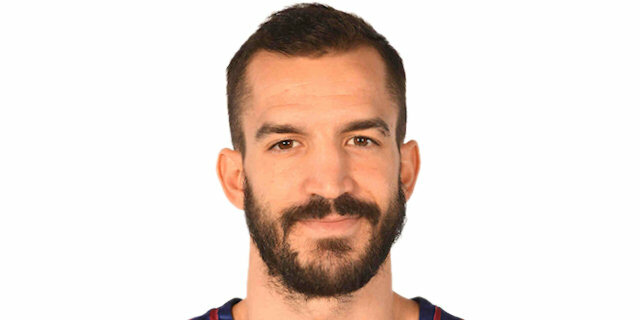 Spanoulis finished a patient Olympiacos offense with a three-pointer and even when Harangody scored around the basket, the game tempo belonged to the Reds now. Spanoulis found Vangelis Mantzaris for a wide open triple that made Valencia call timeout at 30-35. Van Rossom took over with a triple which Mantzaris matched at the other end. Sato joined the three-point shootout to fix the halftime score at 36-38. Van Rossom hit a tough shot right after the break, as Valencia tried to be more aggressive on defense. Olympiacos went scoreless for almost 2 minutes until Spanoulis delivered with a rainbow three-pointer. 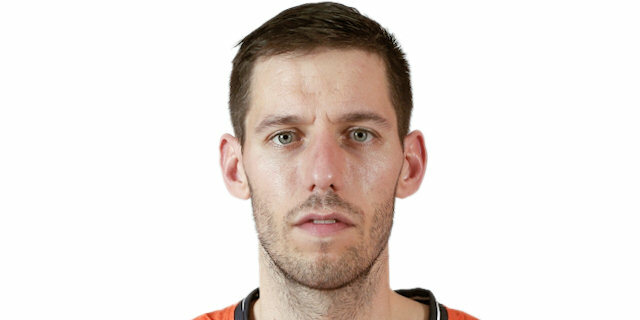 Van Rossom kept pacing Valencia with a layup but Mantzaris sank his third three-pointer to give Olympiacos fresh air at 40-44. 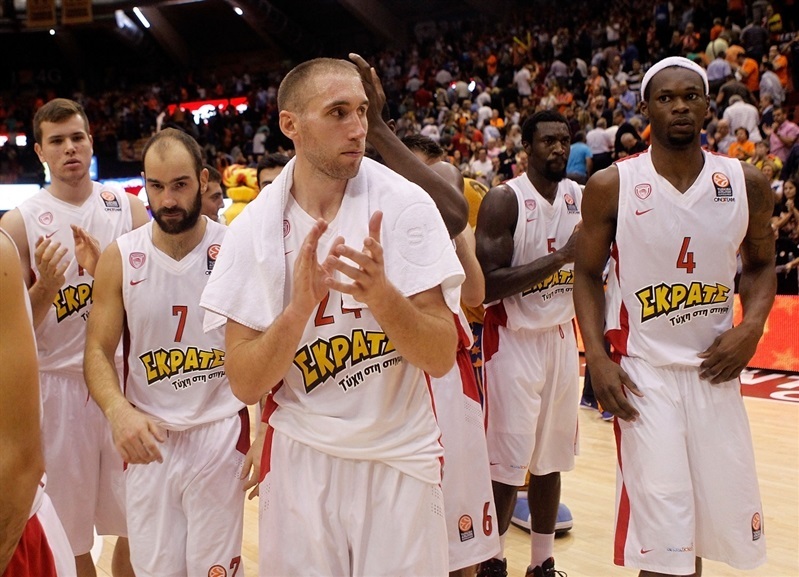 Spanoulis split free throws and a three-pointer by Pablo Aguilar ignited the crowd at 43-45. Lojeski quickly scored in transition and nailed a jumper off a timeout for a 43-49 lead. 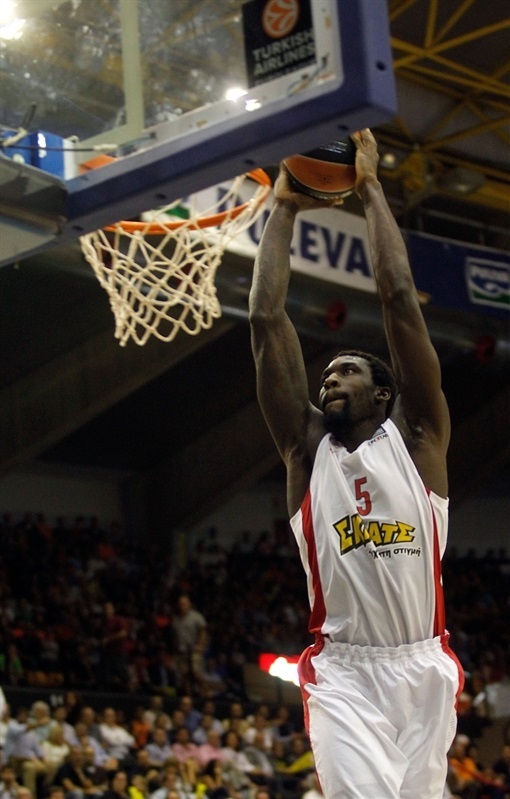 Buycks banked in a running shot, as Olympiacos struggled to get Spanoulis involved. Sloukas took over with a coast-to-coast layup which Kresimir Loncar erased off a Valencia timeout. Harangody made free throws but a three-pointer by Sloukas gave his team a 49-54 edge. Lafayette and Sloukas made free throws but Buycks singlehandedly brought Valencia within 54-56 after 30 minutes. Buycks stayed on fire with a driving layup and a big dunk by Harangody completed the hosts' comeback, 58-56. Olympiacos could not find the way to the basket for more than 3 minutes until Spanoulis stepped up with a driving layup. Loncar ignited the crowd with an off-balance basket and a jump hook by Harangody made it a four-point game, 62-58. Valencia was all over the place on defense, not allowing easy open shots. Spanoulis - who else? - rescued his team with a three-point play and a free throw by Hunter tied it at 62-62 with over 3 minutes left. Hunter followed a big block with a dunk and Spanoulis found Lojeski for a floater in the lane, good for a 62-66 Olympiacos lead. Sato made free throws and a layup by Loncar tied the game again, 66-66, with 1:07 left. Lojeski stepped up with a critical basket, Loncar made free throws and Spanoulis missed from downtown but Olympiacos got the ball back with 20.1 seconds left. Sloukas drew a foul, missed his second shot, but grabbed the offensive rebound to return to free throw line. 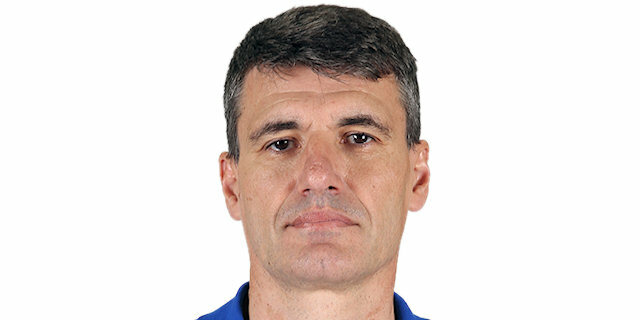 He did not miss this time and Valencia could not get a three-point shot up in the final seconds. "It is a painful loss, the team deserved better. Both teams played hard. Our team had it difficult against their defensive switches. We didn't find our first shots, dounted and crashed against their defense. We fought hard and wanted to win but defenses worked better than offenses and that did not play in our advantage. Their offensive rebounds hurt us a lot - we couldn't run and did not have a fluent offense, which is needed to win this kind of games." "We said before the game that if we wanted to control the game tempo, we had to control the boards, go for offensive rebounds and spend our fouls wisely until reaching the penalty. We did a great job - I don't remember now, but Valencia maybe scored one or two fast breaks in the entire game, and this is a team that likes to run a lot and even takes three-point shots in fast breaks." "We fought hard all game long but it was decided by details at the end of it. Their defense stopped our rhythm on offense with their many switches. It was hard for us to find answers. We now face a tough game on the road against Galatasaray. 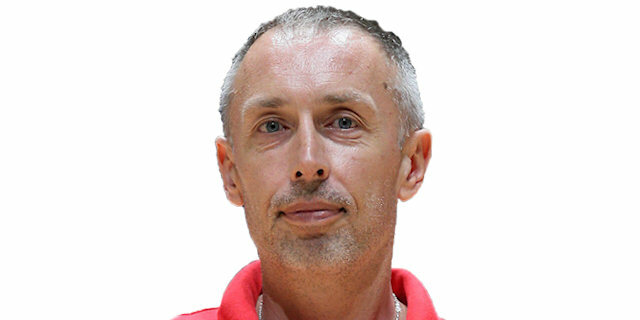 The Euroleague is a strong competition and we have a very balanced group. We lost at home and now have to play twice on the road. We will try to win our next game." "We made mistakes that we cannot make, especially in rebounds. We want to play better and win games. 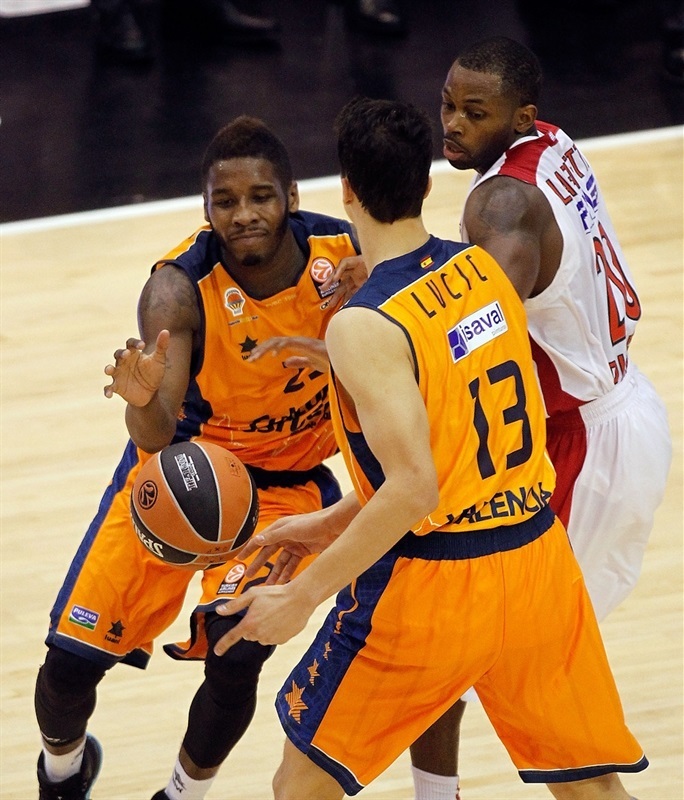 We struggled - Olympiacos switches in every screen and that stopped our game rhythm. This is why we scored 68 points. We did a good job, but must get better. We have to bounce back from this loss by winning on the road. It is hard to lose the first game at home, in front of our fans, even when Olympiacos is a great team."